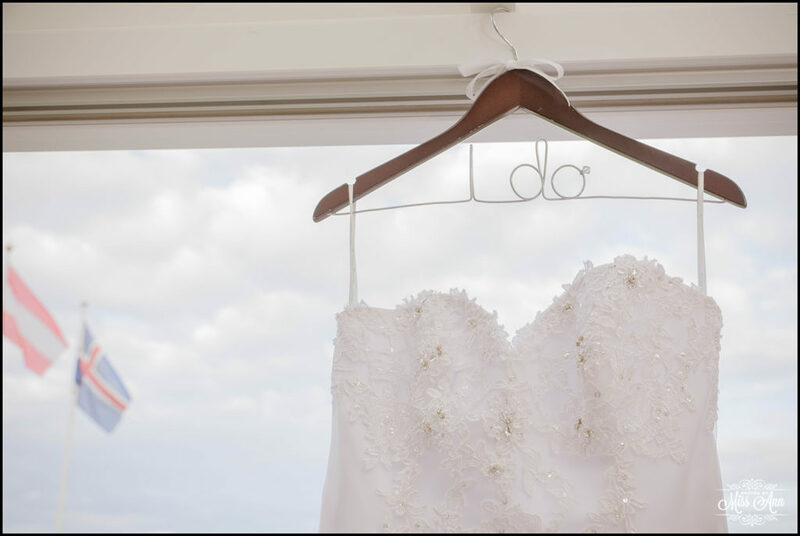 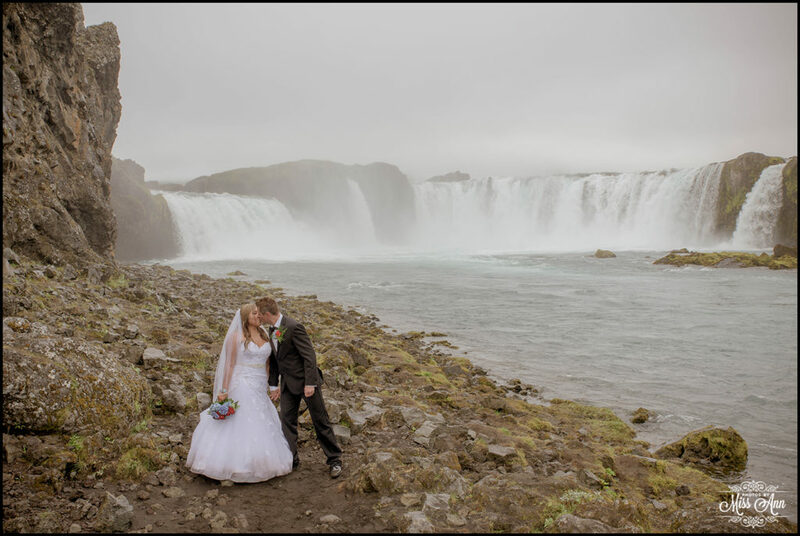 Question: When you’re from Canada and yearn for adventure, where in the world do you decide to get married? 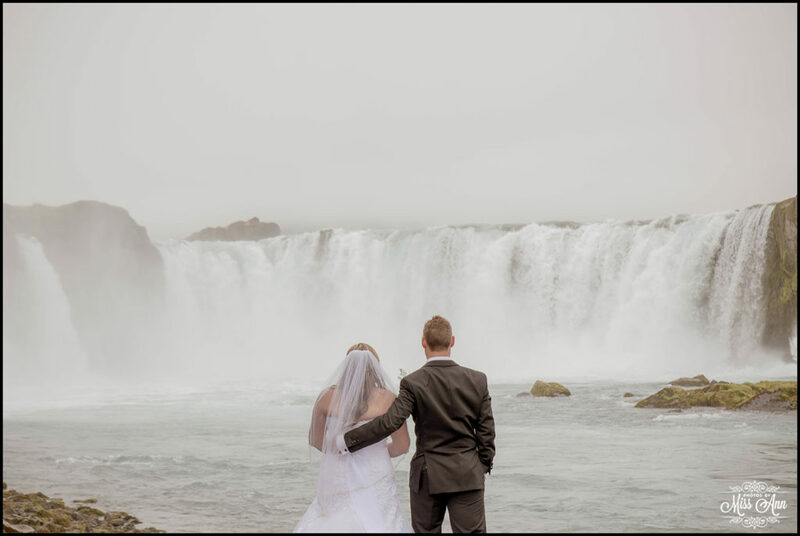 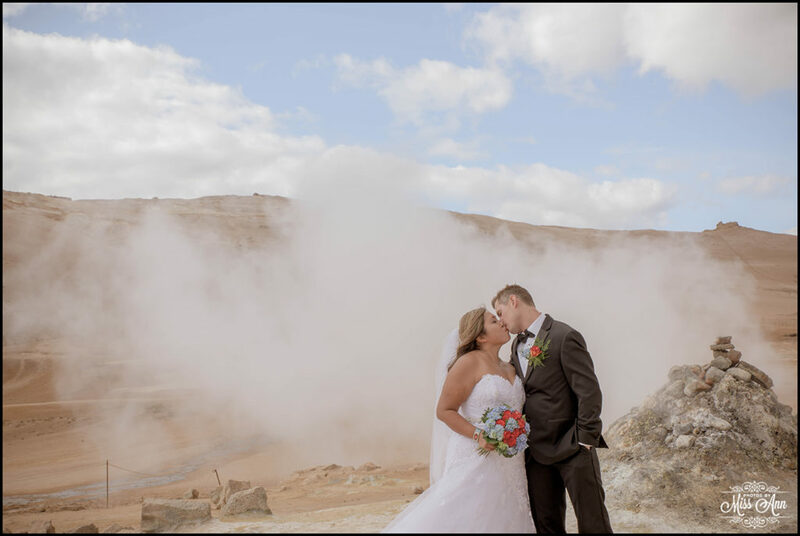 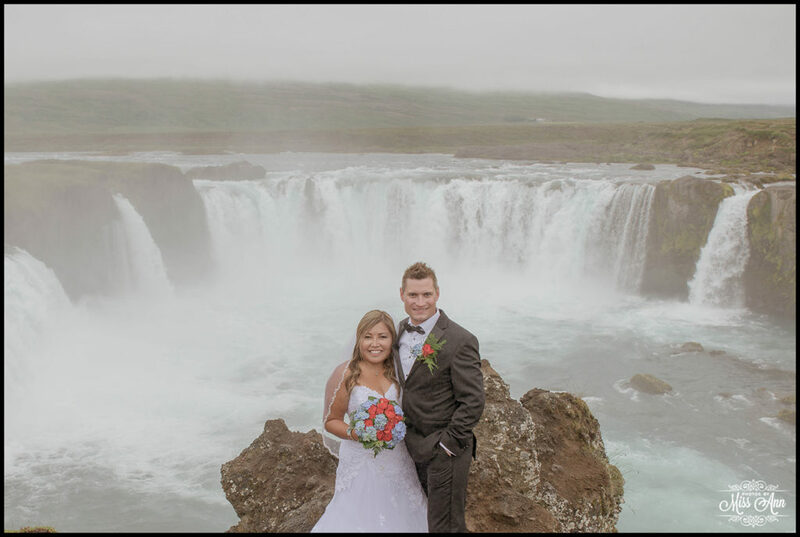 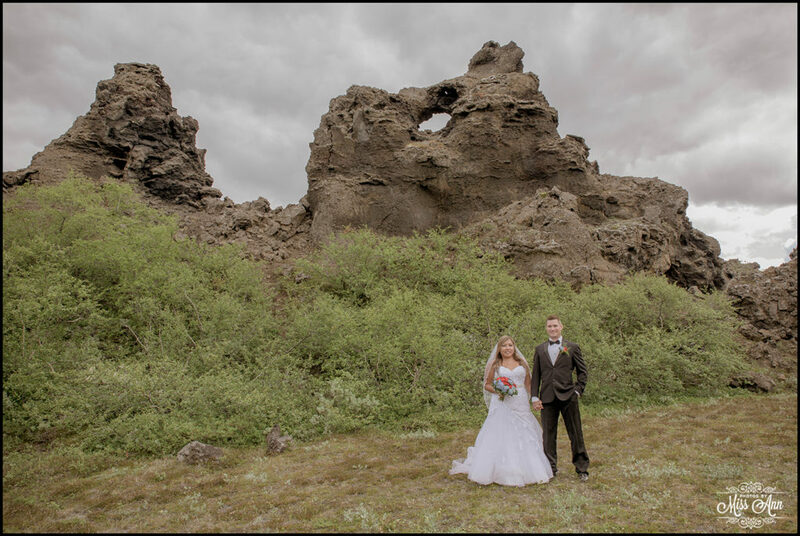 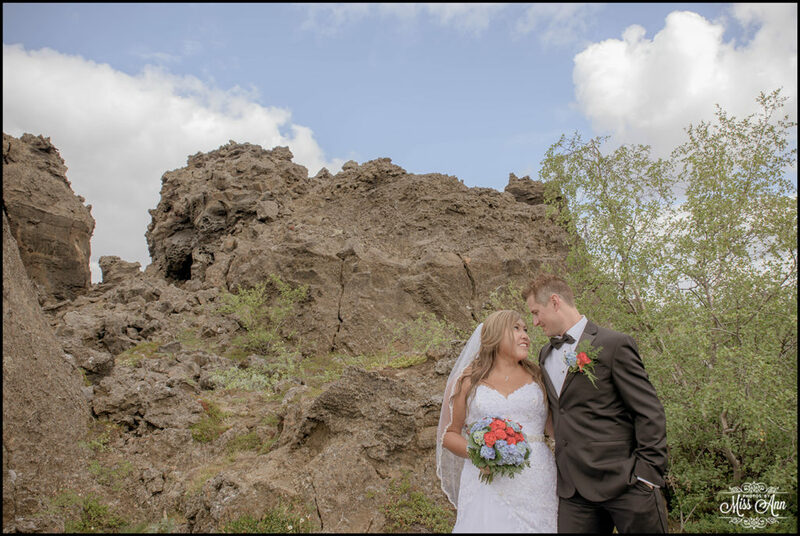 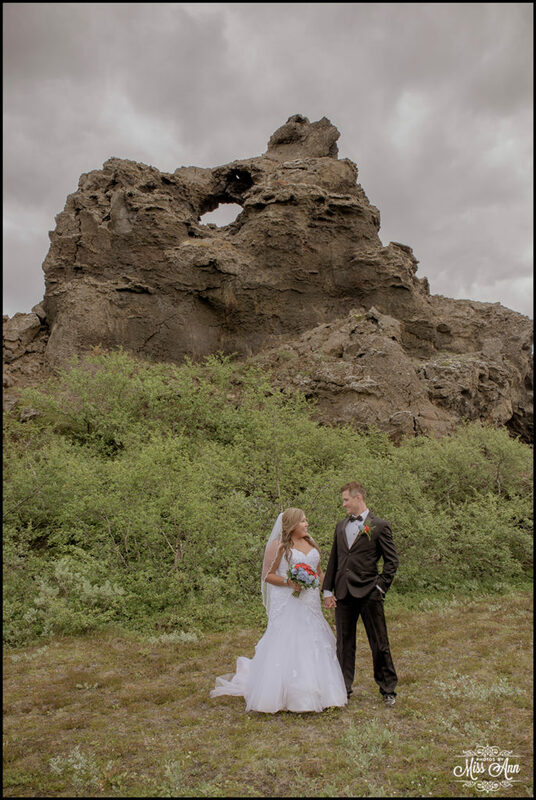 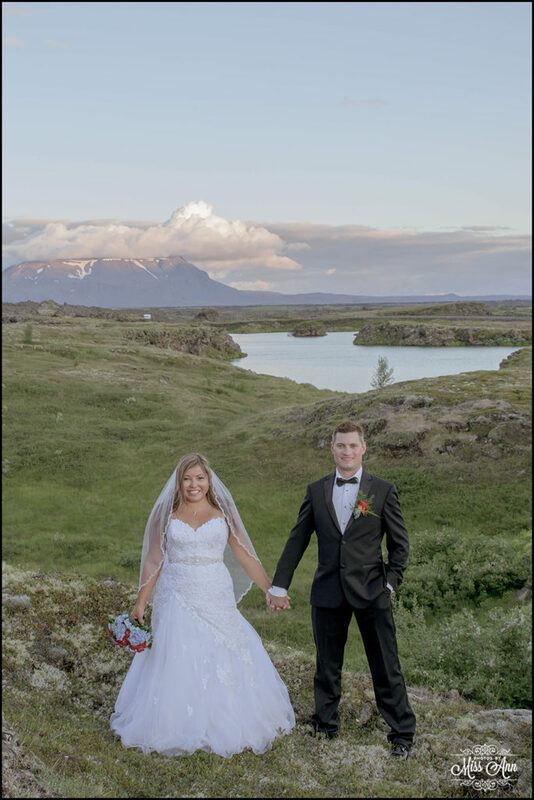 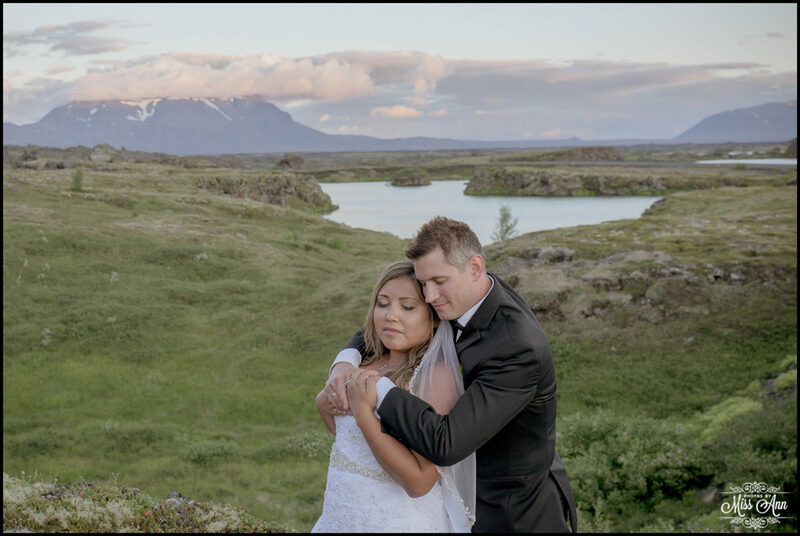 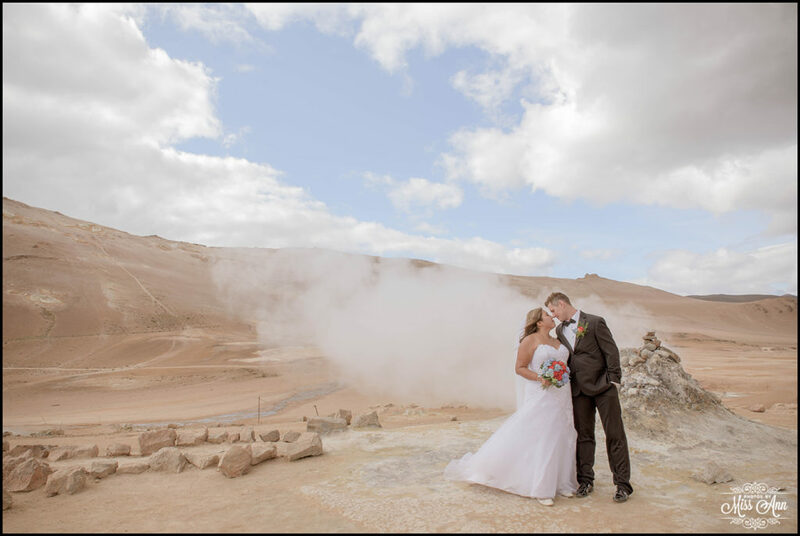 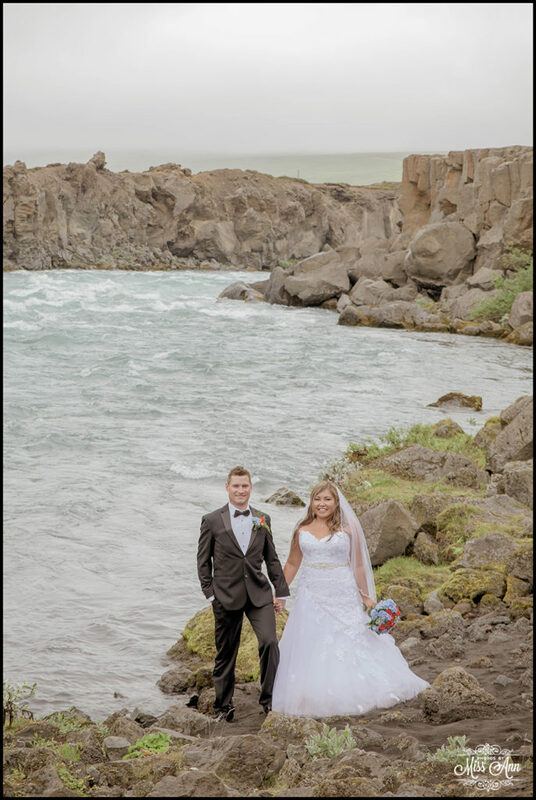 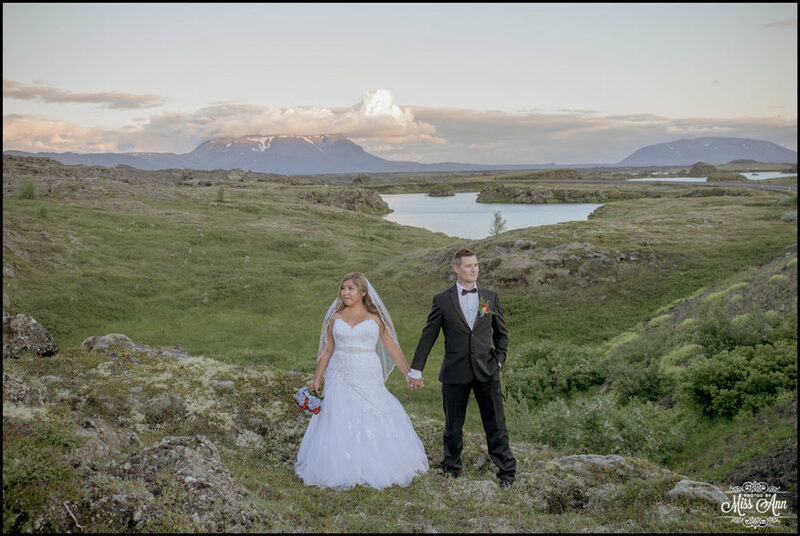 Angela and Richard have had almost a decade of adventures together, so it was only fitting that their biggest and greatest be their wedding in Iceland! 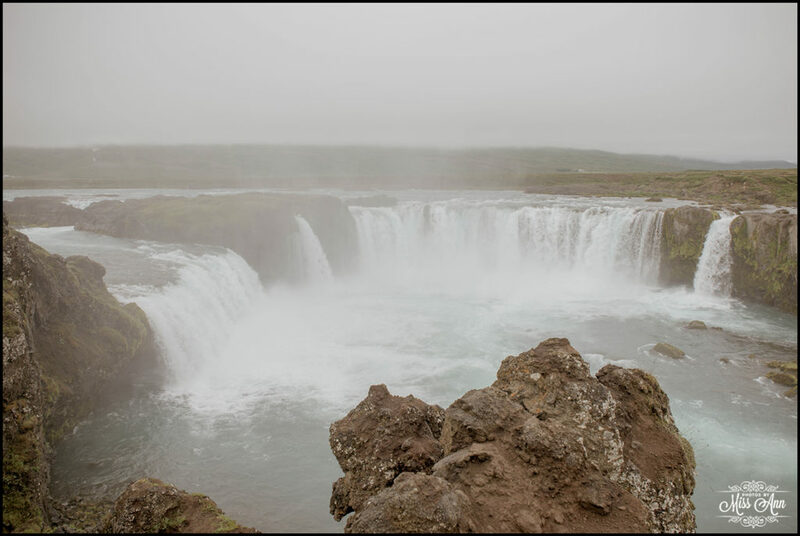 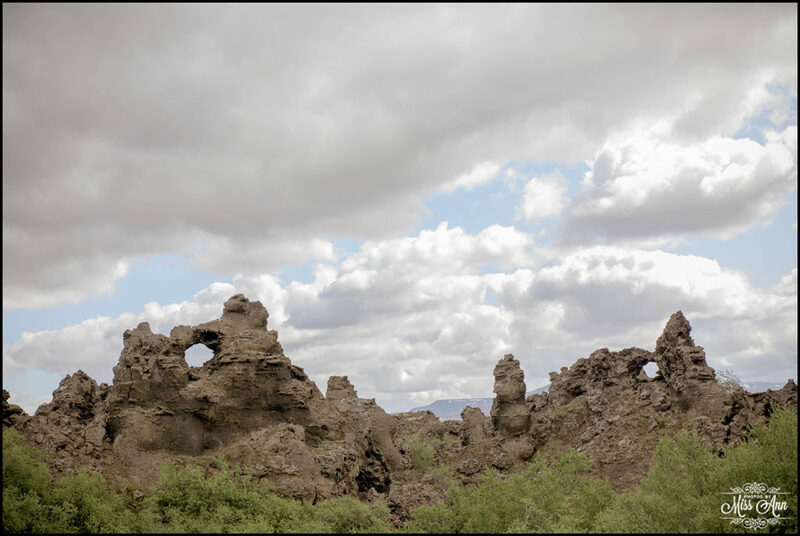 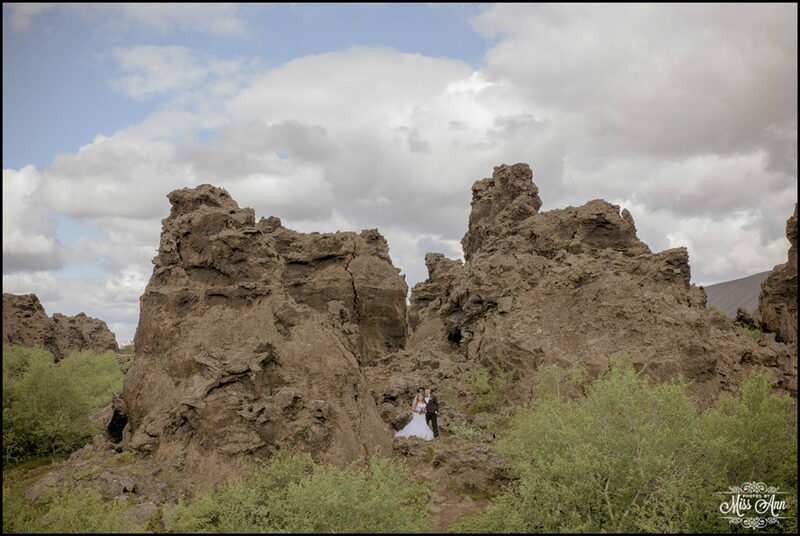 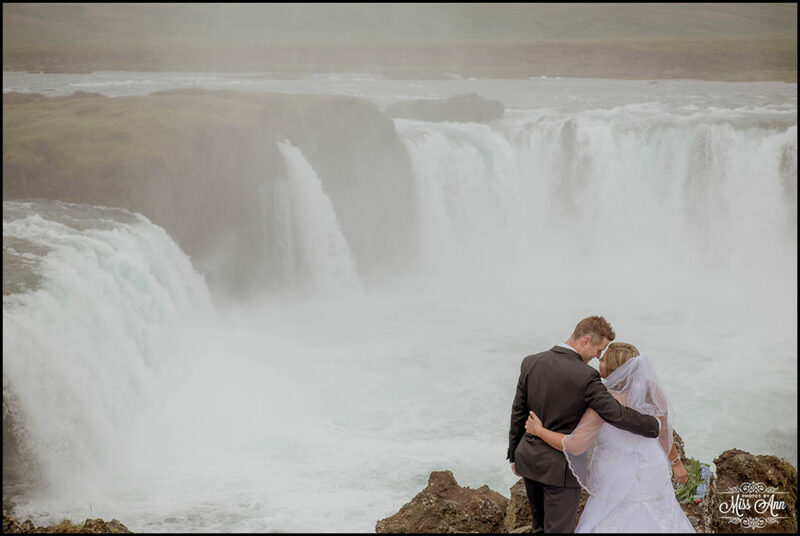 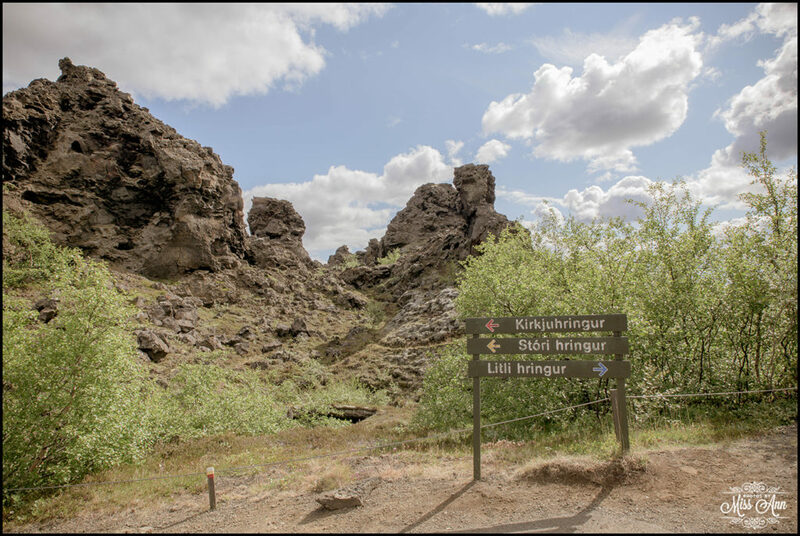 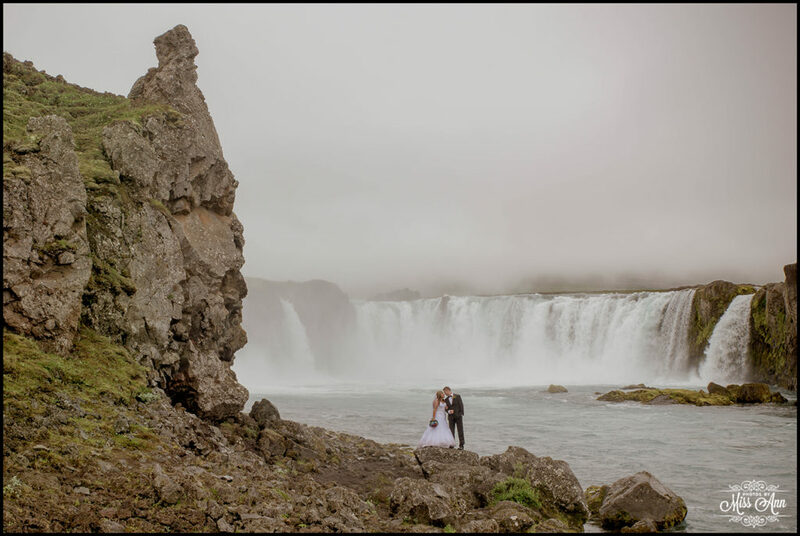 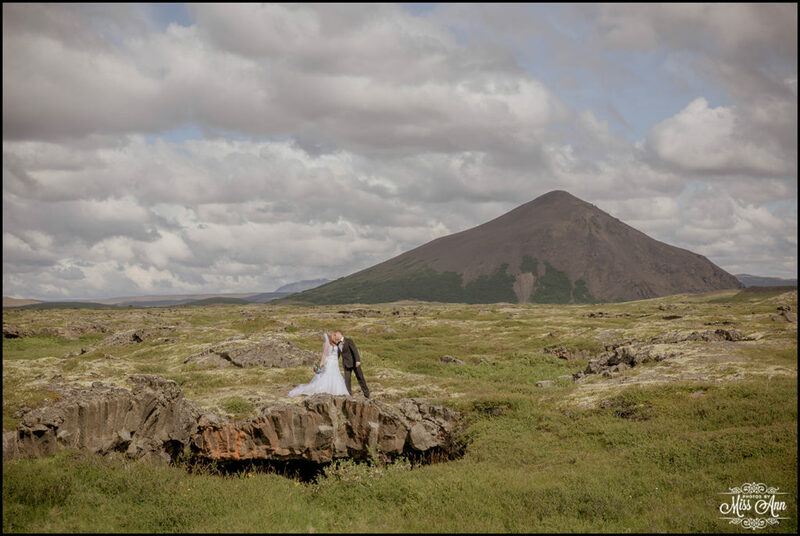 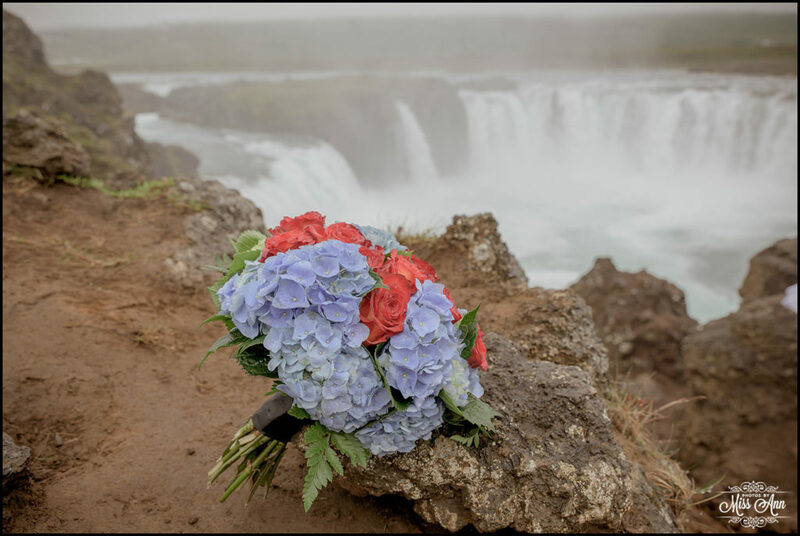 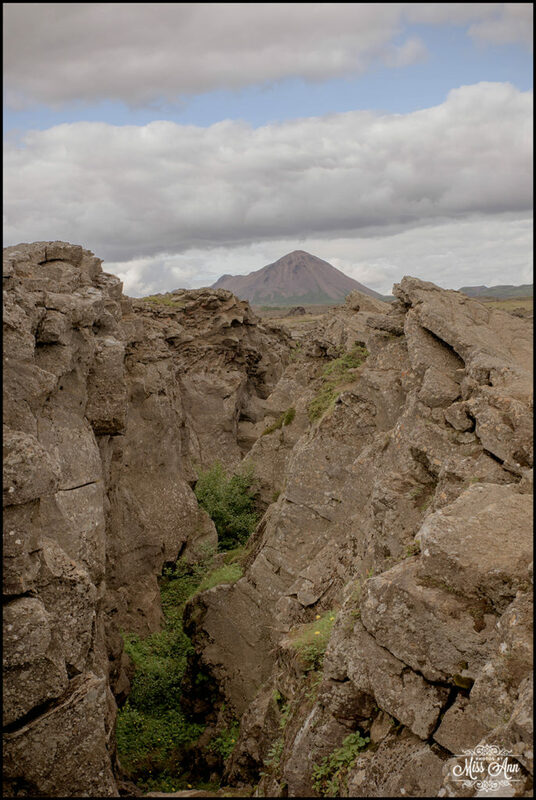 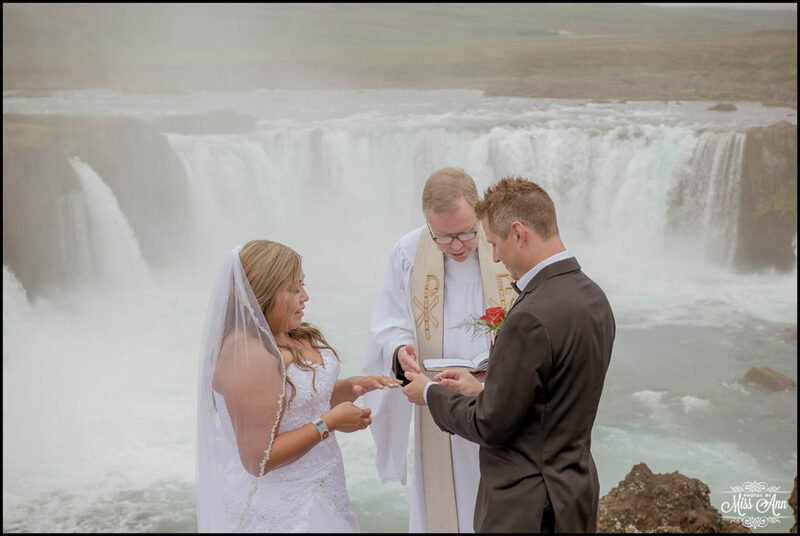 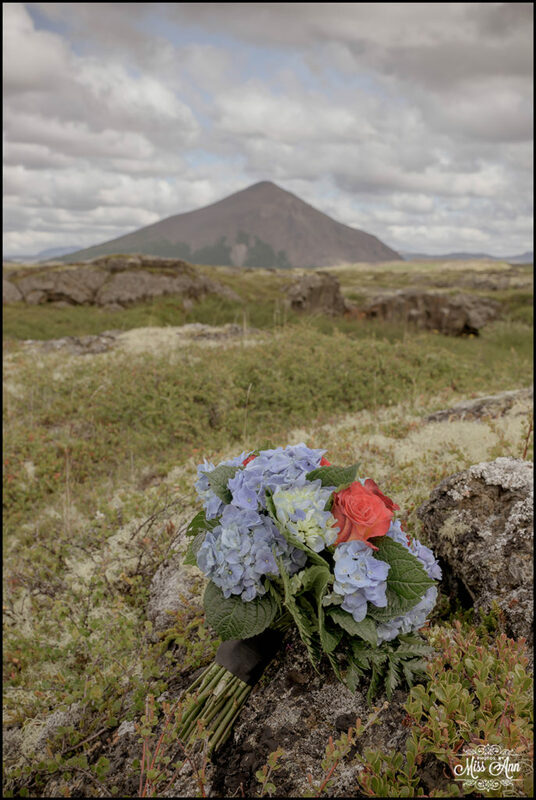 A strong theme of fire and ice was followed through the Iceland wedding itinerary and included epic landmark spots such as Godafoss Waterfall, Dimmuborgir Lava Fields, Namaskard geothermal area and sunset in Lake Myvatn Nature Preserve. 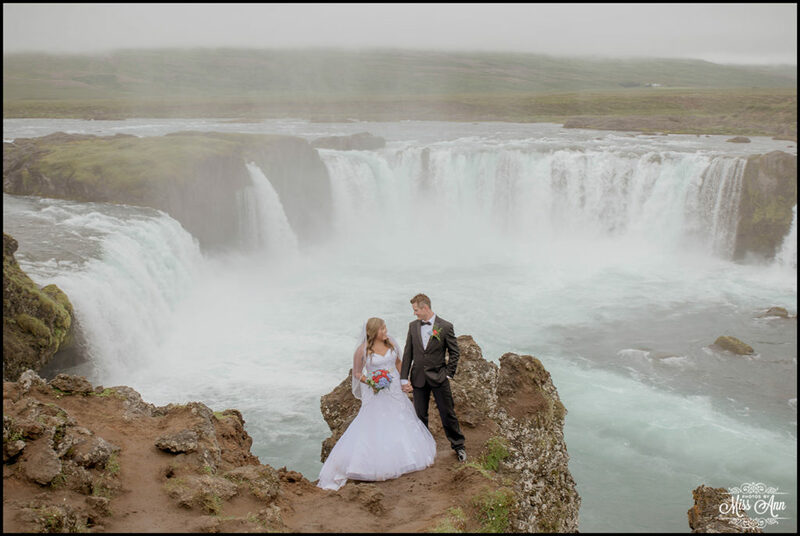 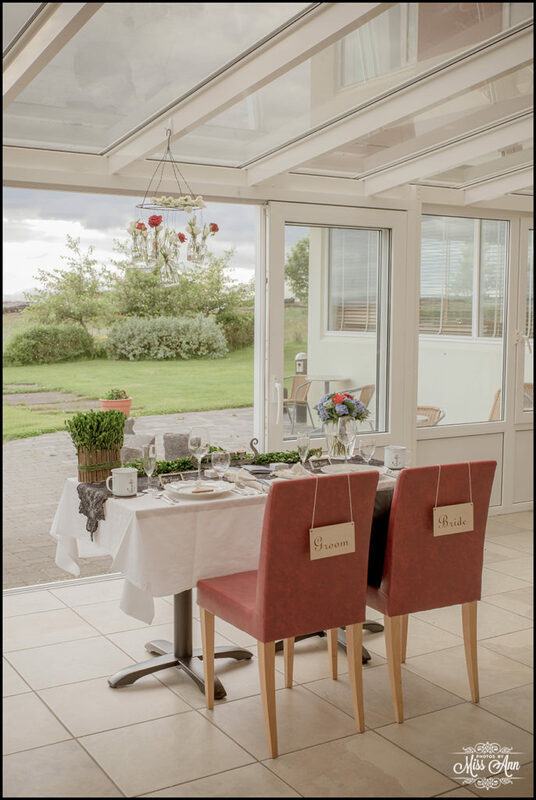 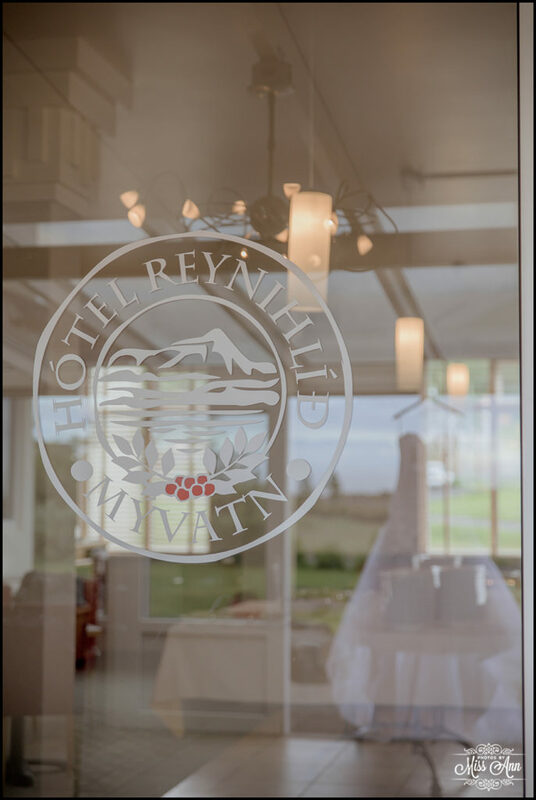 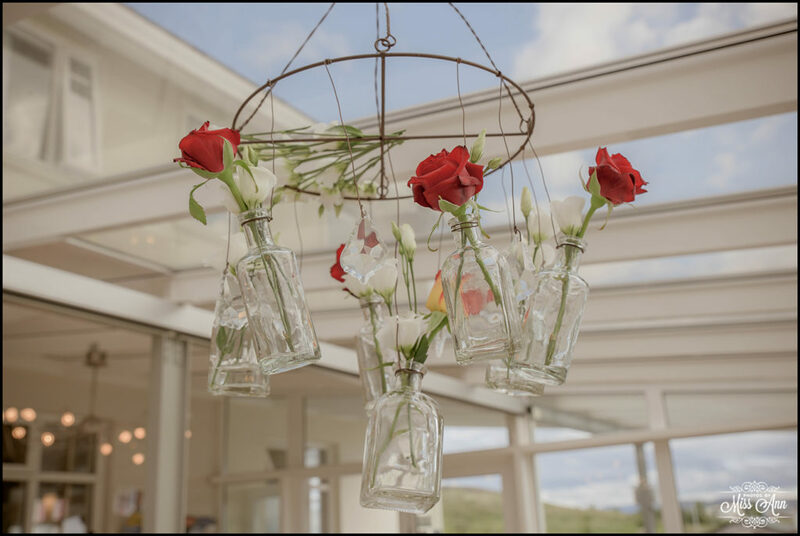 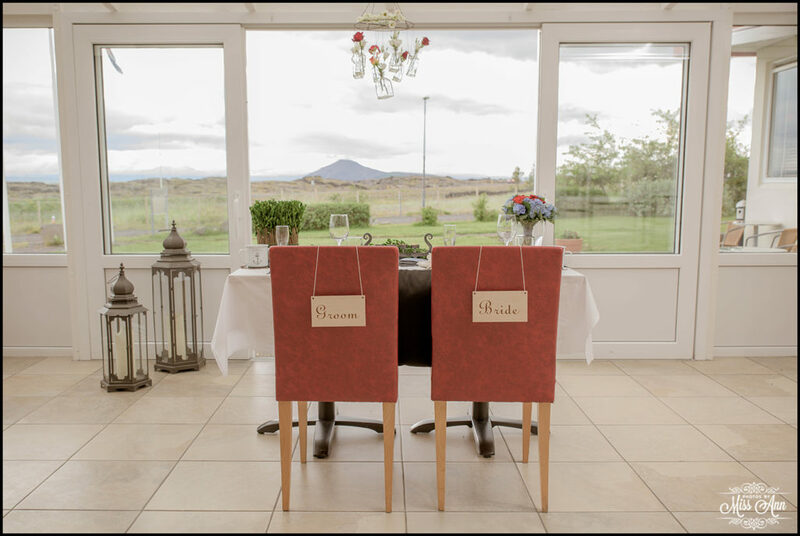 When they returned to their host hotel Hotel Reynihlid in the evening, they found an unbelievable uniquely styled reception for two (compliments of Iceland Wedding Planner). 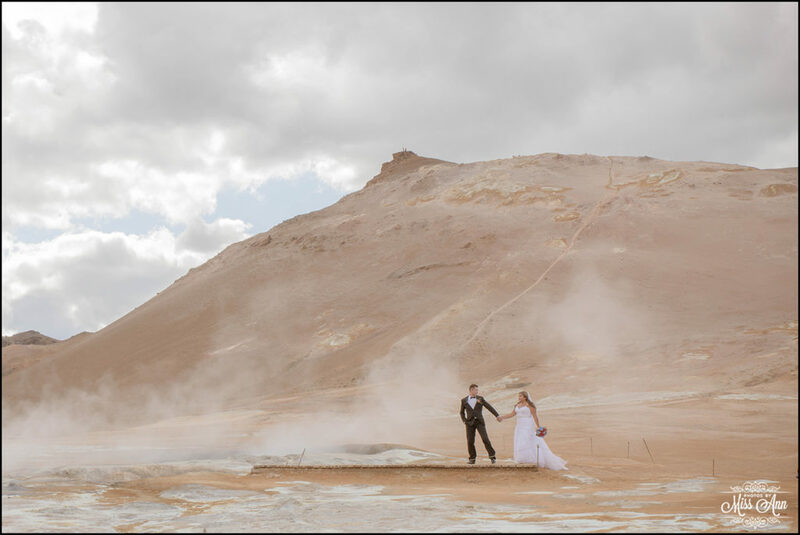 The elements of fire, ice, nature, and adventure were deep seeded throughout. 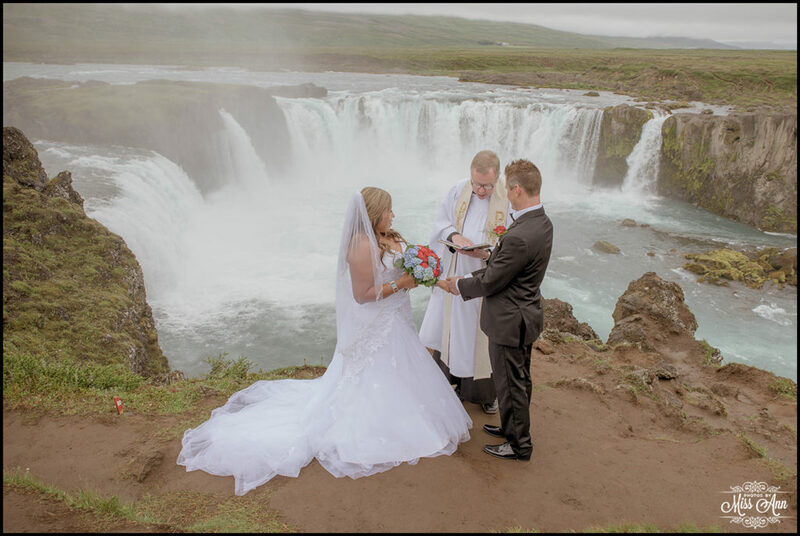 …seriously amazing! 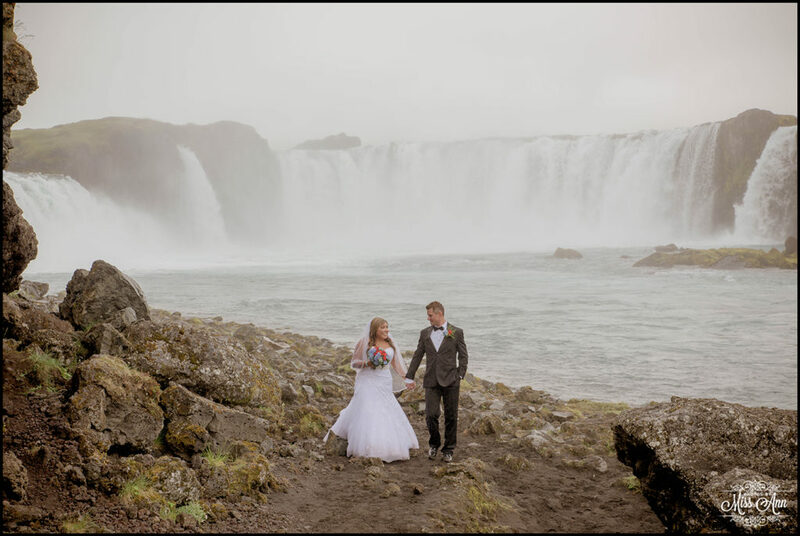 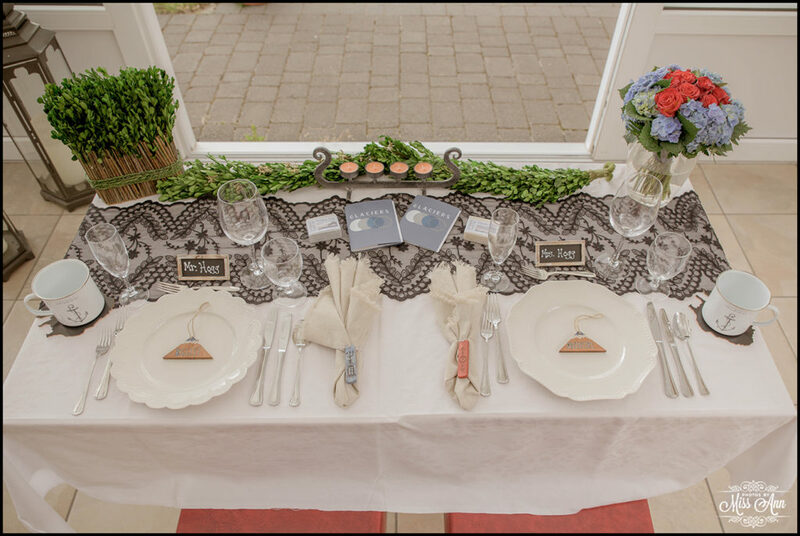 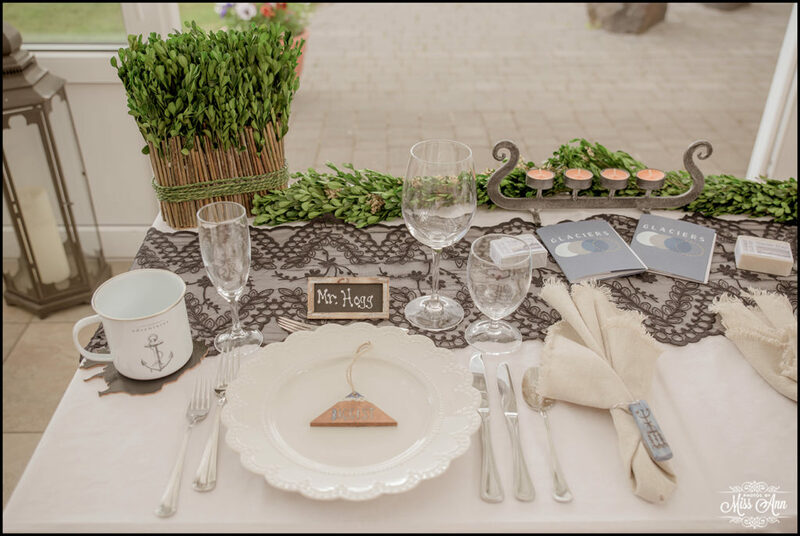 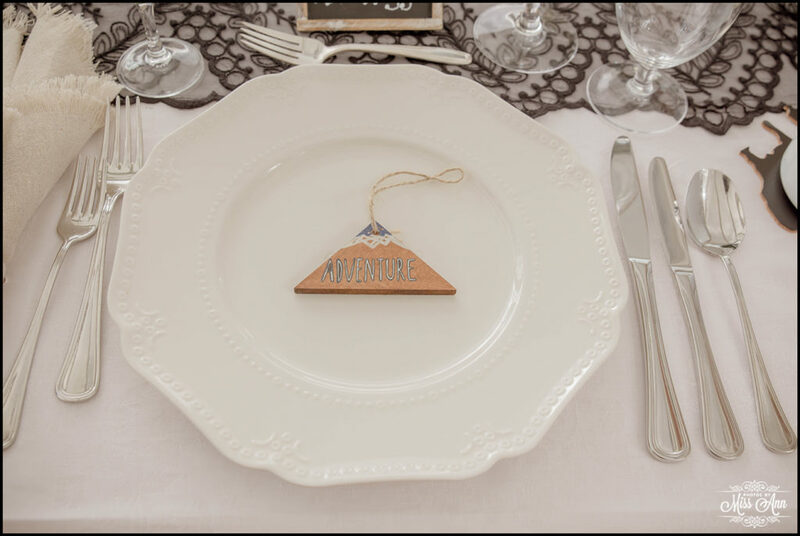 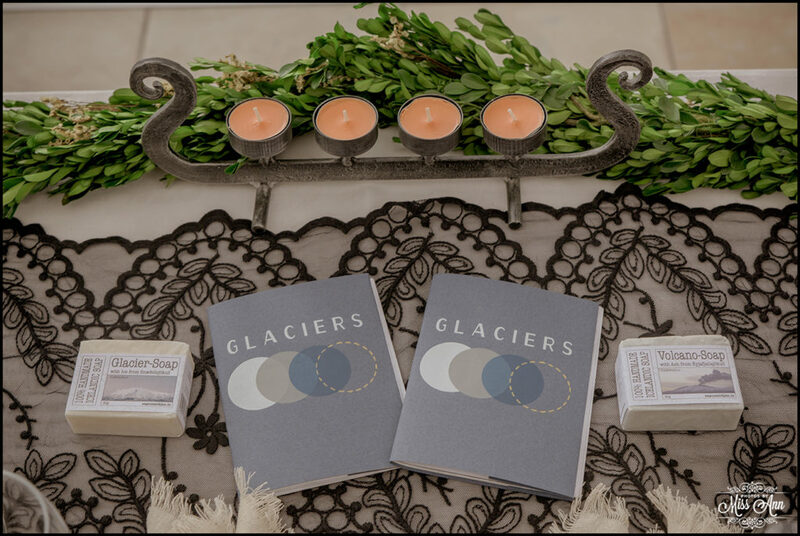 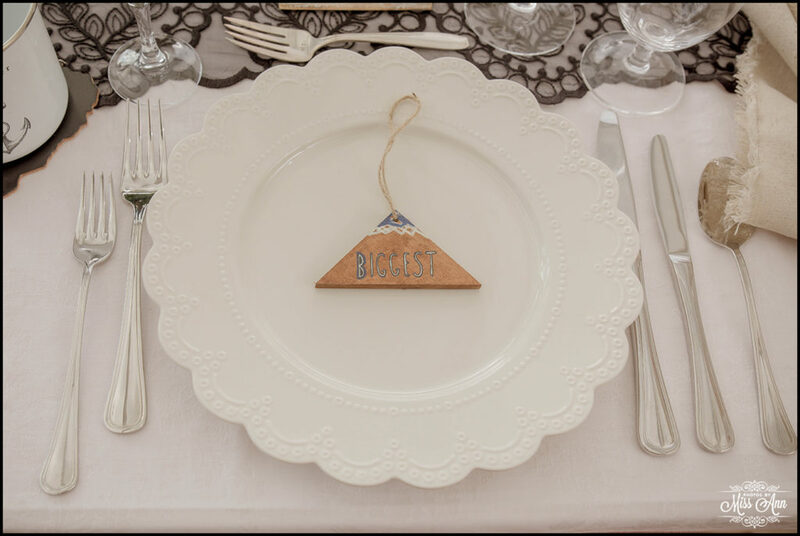 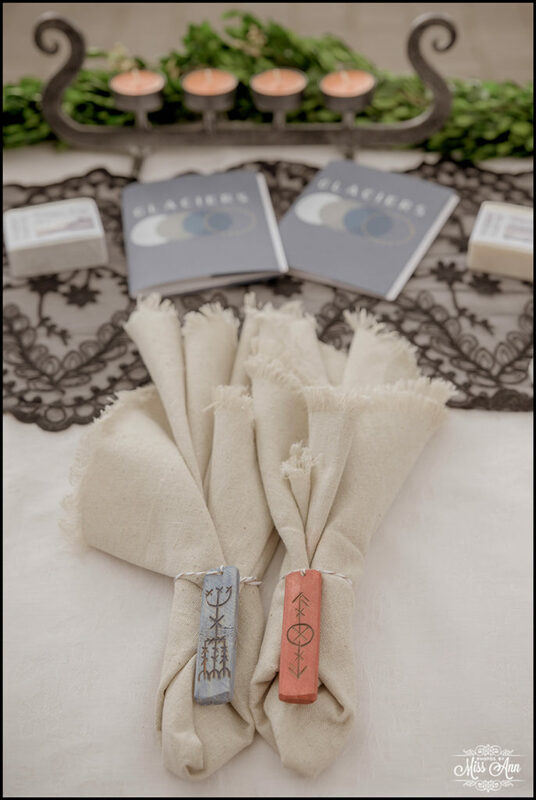 Check out all their glorious Iceland wedding favors! 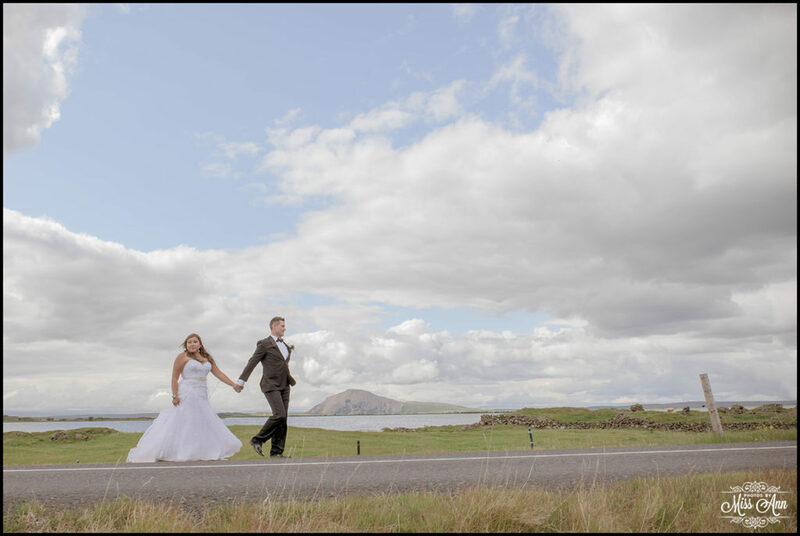 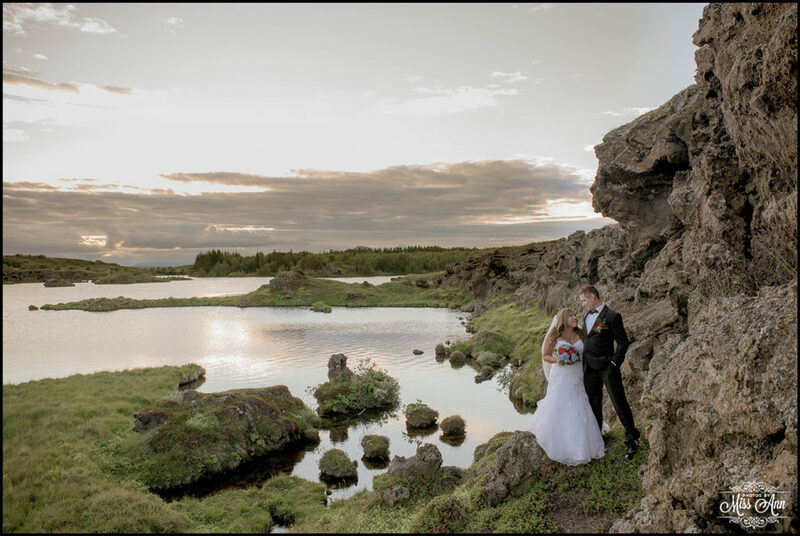 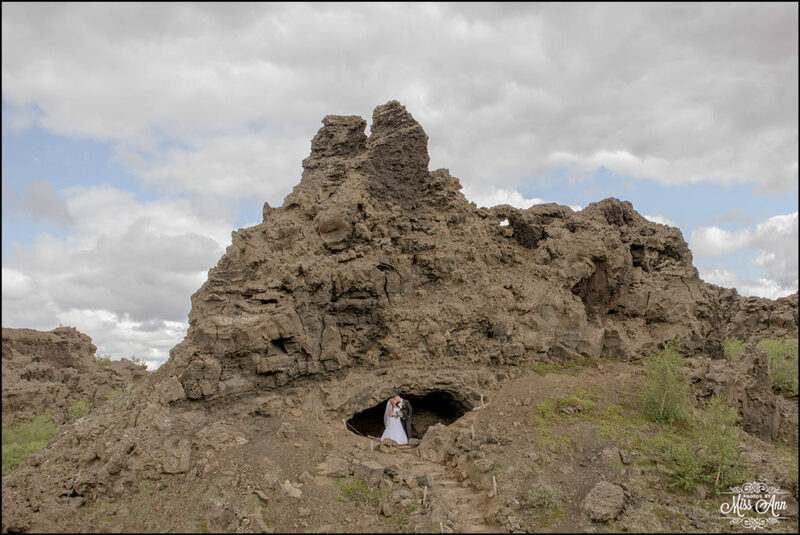 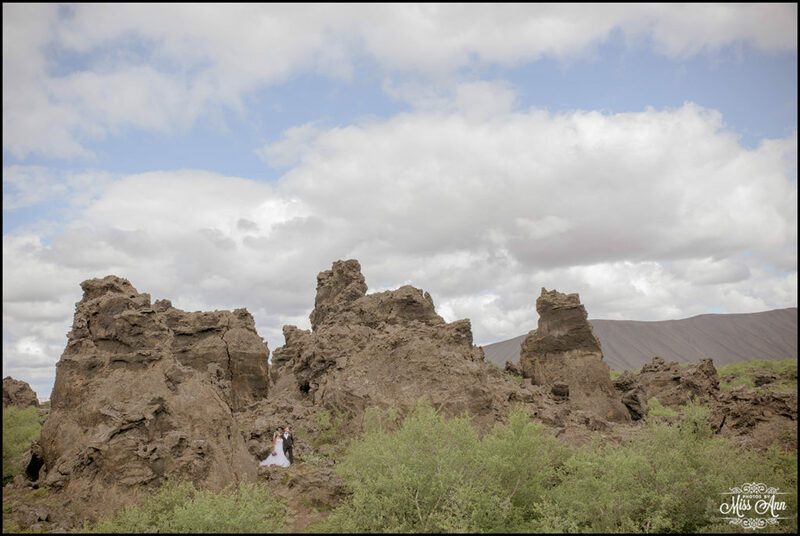 The adventurous Icelandic elopement ended with sunset photos along the famed Lake Myvatn Nature Preserve. 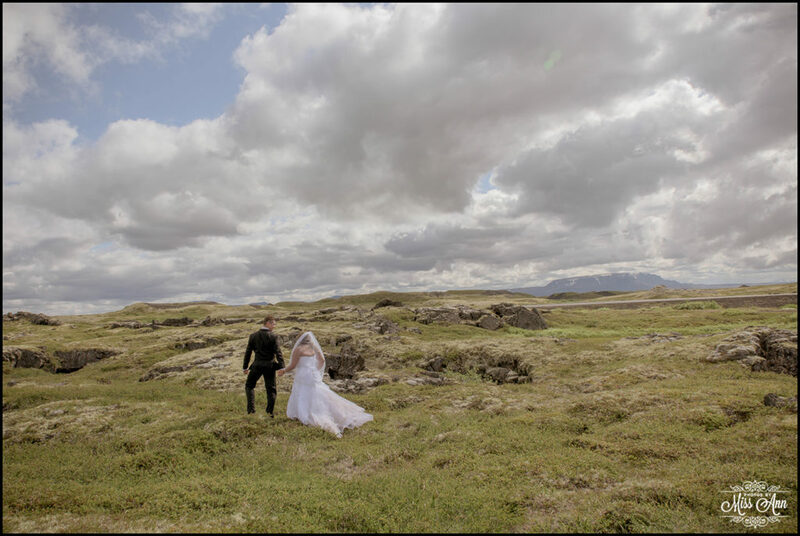 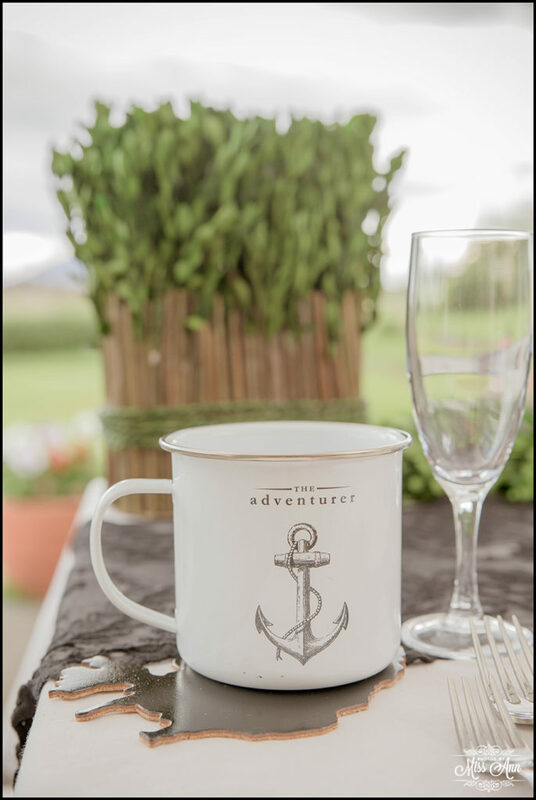 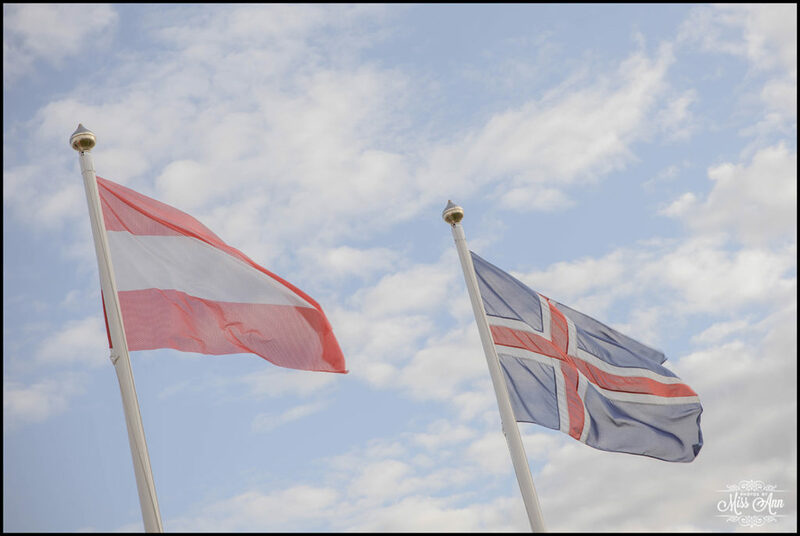 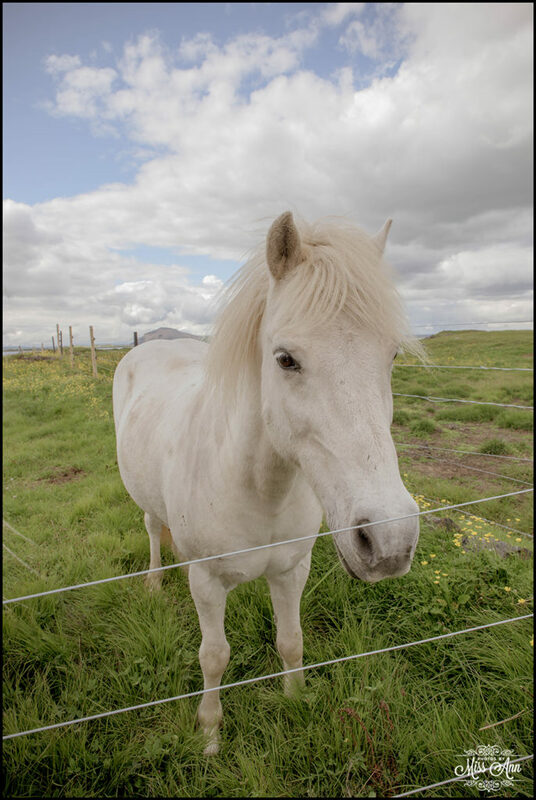 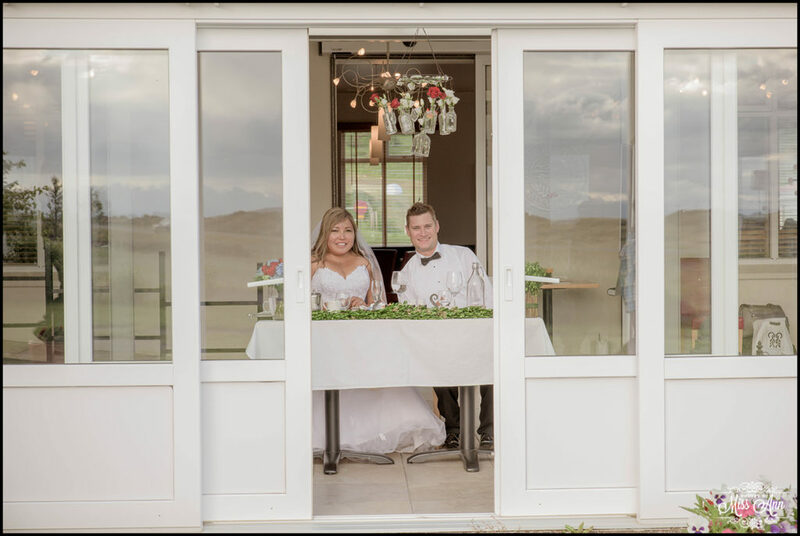 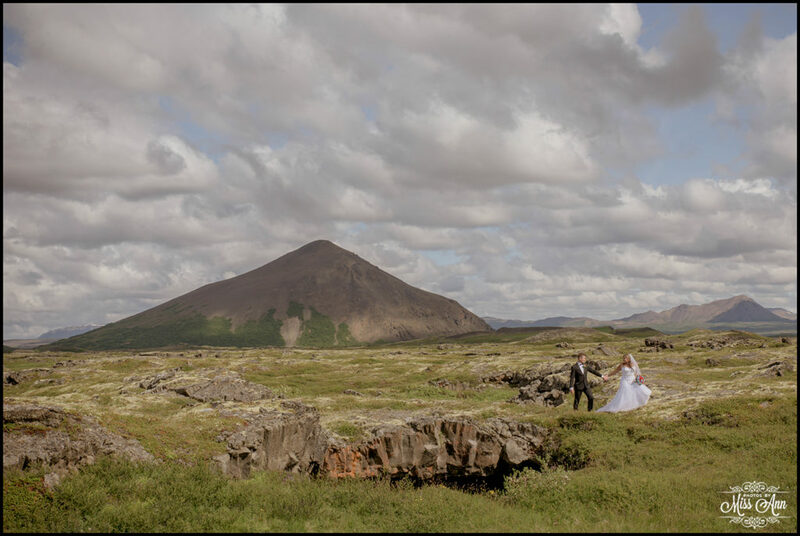 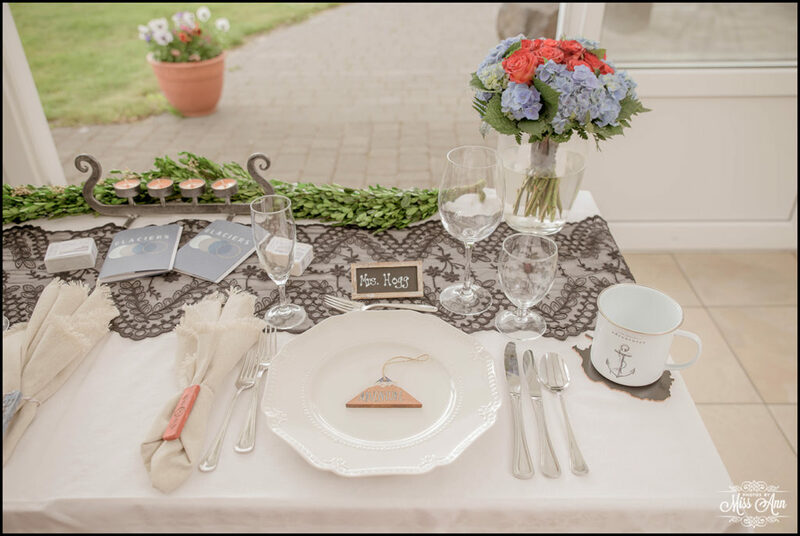 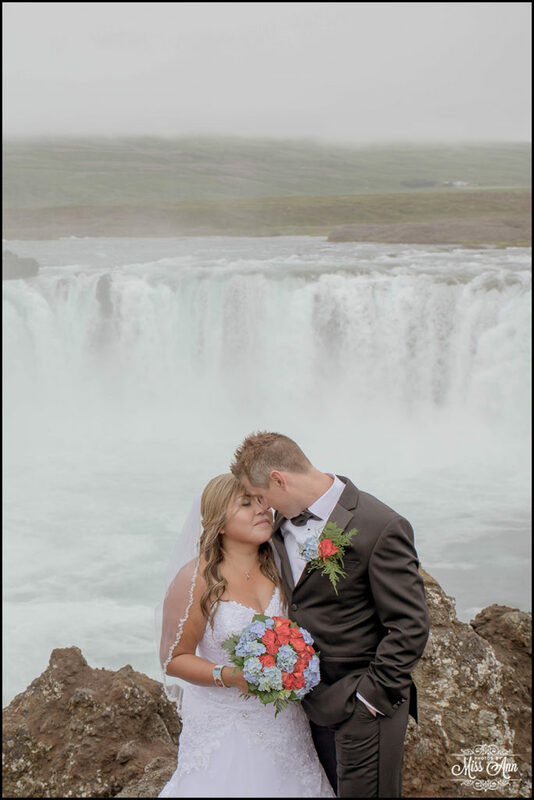 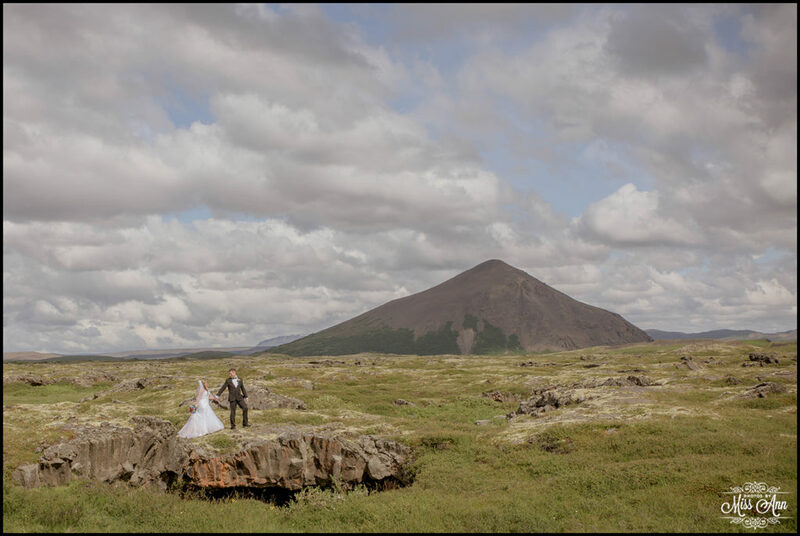 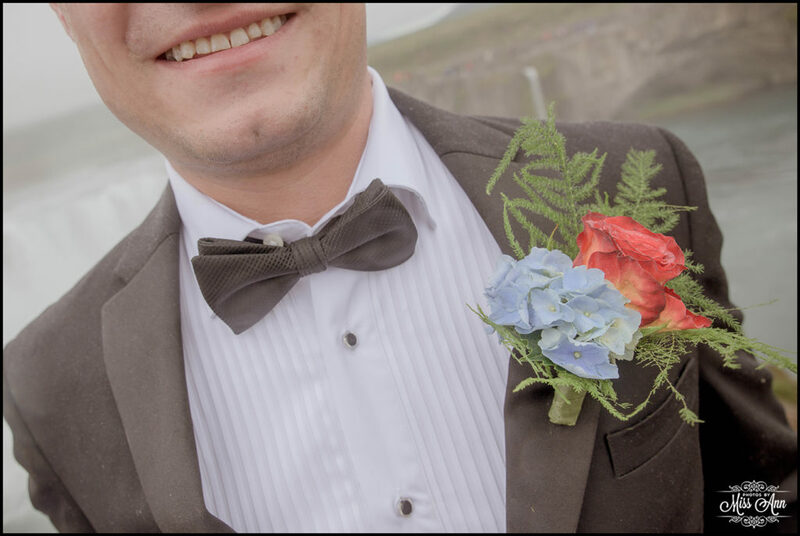 Enjoy a little look into their Iceland adventure wedding below by our fabulous photo company, Photos by Miss Ann!